Meet John. He started his own bookshop rather than be unemployed, then opened a publishing company from the same premises. He's busy! So when John asked us to look over his website we could see where a lack of time and copywriting experience was having a negative impact on his publishing business, and we were delighted to help! We started thinking about our target market. People who buy books? Yes, maybe, but really - people who buy books go to Amazon, or the Book Depository, now don't they? The few good souls who want to support an honest publisher by purchasing directly from them are looking for this publisher's website anyway, with the decision to buy already made. So, yes, let's make it easy and pleasant for people who want to buy books, but who are we really after? Who do we want to catch when they are searching and browsing? 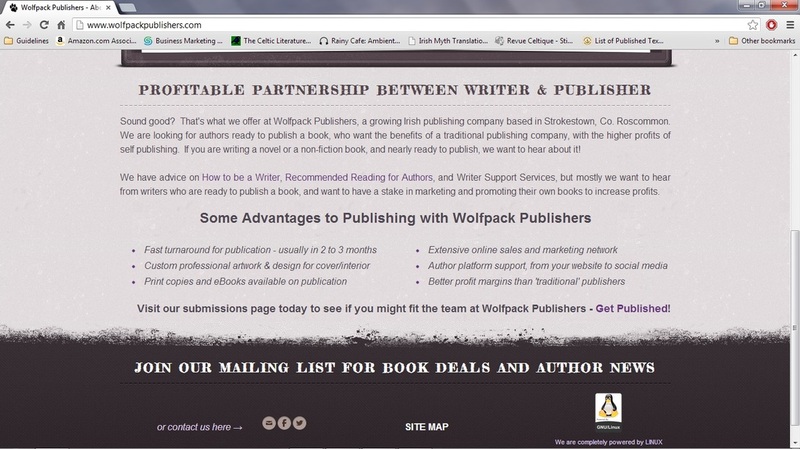 What is a Publisher, without the Writers? Writers. 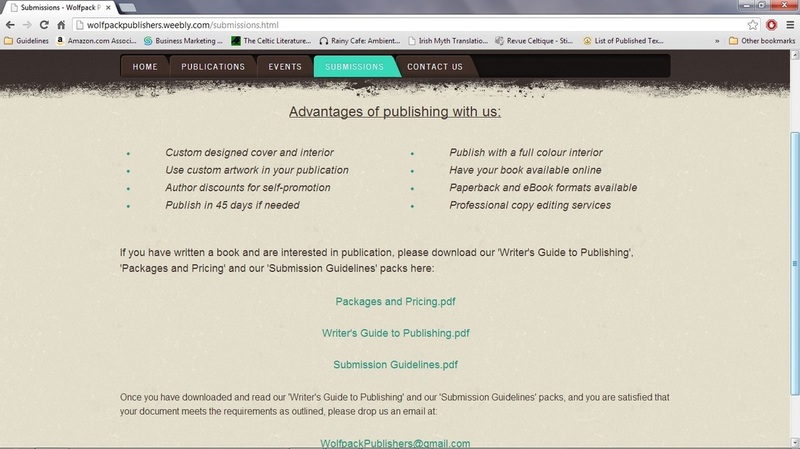 For a publisher new to the market, building a quality, reliable catalogue is priority number one, and for that we need writers. 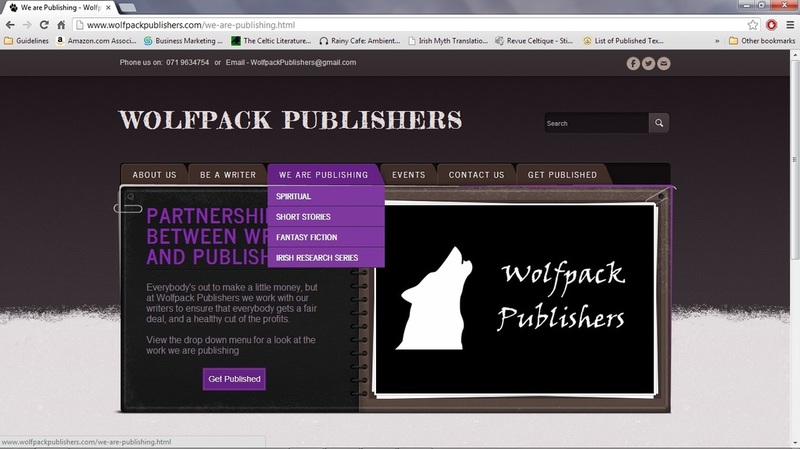 We want to focus on the writers, especially as the whole concept and 'Unique Selling Point' of Wolfpack Publishers is to offer a better deal for the writer; the guy or gal who is, after all, doing the bulk of the hard work on any given book. Sound good? 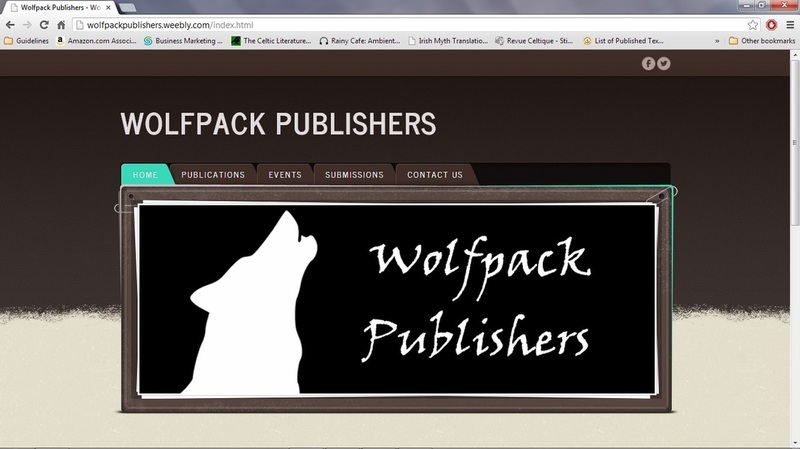 That's what we offer at Wolfpack Publishers, a growing Irish publishing company based in Strokestown, County Roscommon. We are looking for authors ready to publish a book, who want the benefits of a traditional publishing company, with the higher profits of self publishing. If you are writing a novel or a non-fiction book, and nearly ready to publish, we want to hear about it! We have advice on How to be a Writer, Recommended Reading for Authors, and Writer Support Services, but mostly we want to hear from writers who are ready to publish a book, and want to have a stake in marketing and promoting their own books to increase profits. 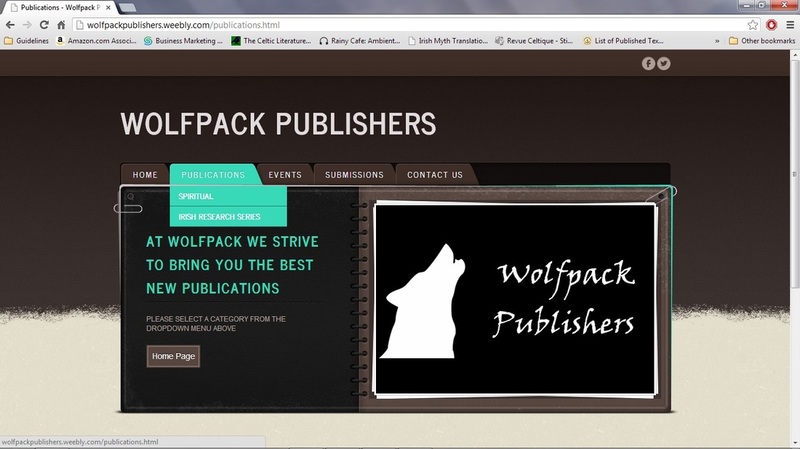 Visit our submissions page today to see if you might fit the team at Wolfpack Publishers - Get Published! 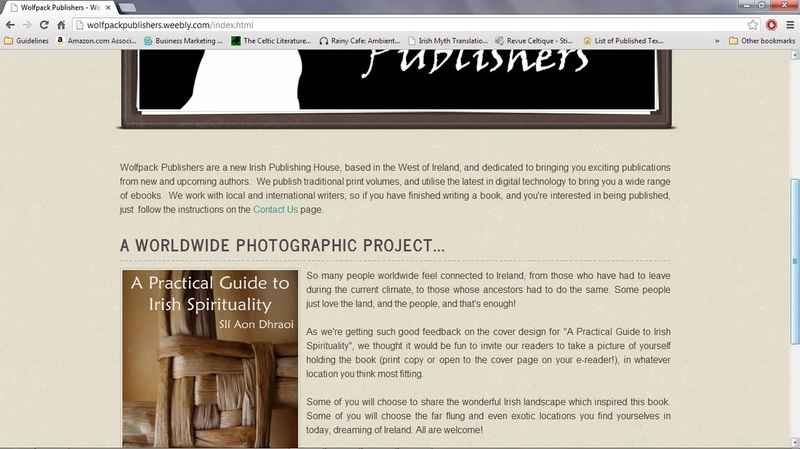 We strive to bring you the best new publications (so does every other publisher), and a link to 'Home Page'. Unclear, unfocused, and stating the obvious, the exact mistakes most of us made before we learned how to market and write quality business copy. 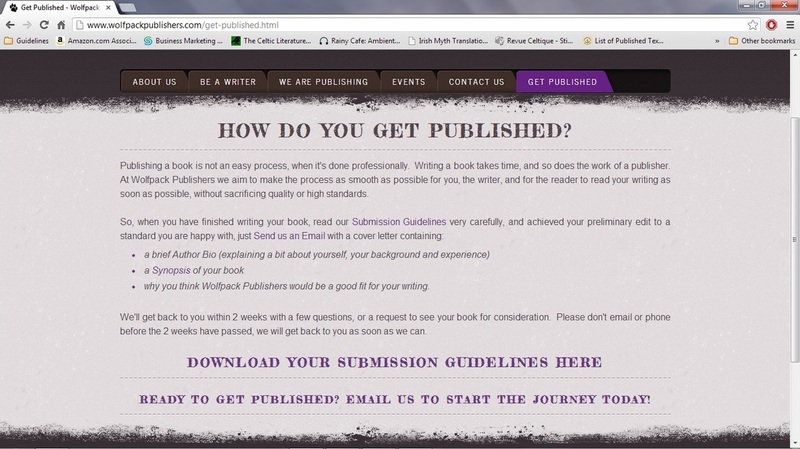 Clear, easy to follow, and all about the benefits - the question 'how do you get published?' is searched for by writers a million times a day. We designed a 'Short Story Anthology' Competition - to raise the publisher profile and build the book catalogue at the same time. Wolfpack Publishers have seen a website landing increase of 79% since the new website went live, with the home page being the number one port of call, the target market tempting 'Be a Writer' page a close second, and the Short Story Competition a healthy third. Manuscript queries and Short Story Competition entries rolled in from all over the world, with new writers from Scotland to Malaysia finding and contacting our clients on a daily basis, and John was so delighted with the progress and improvements, he hired us to take care of his monthly newsletter too. For less than the cost of a monthly ad in the local newspaper, he's reaching out directly to his existing customers, as well as new sign-ups, and his open rate has risen to 12% higher than the average for his industry. Why not see what our newsletter package offers your business?